It only feels like yesterday that aidnography went live, but this is actually my fifth end-of-the-year reflection post after 2011, 2012, 2013 & 2014! In the 2014 post my first headline was Aidnography as a small, permanent writing retreat and that is still how I feel about the project most of the time. As you can see from the list of posts below, my comments/ reflections are eclectic, often inspired by current affairs and loosely linked together by the broad topic of 'communication for development' in practice (development commentary), research and academia. Quite frankly, I was a bit surprised about the amount of book reviews I managed to publish this year. Even though they may not be the most eye-catching posts, they are an important part of this blog and in 2016 I am planning some review essays to provide more books with a space and focus a bit more on key topics rather than just individual books. In-between my last book review for the year and my forthcoming annual blogging review post I am happy to share a comprehensive final link review before the holidays! Development news features updates on UN whistleblowing and concerns about gender parity for senior positions; precarious outsourcing in the fashion industry; overlooked crises; UK’s self-serving aid strategy; tips for successful NGO-academic collaborations; a plea to treat non-profits as businesses; you can’t get rich and change the world; Ford Foundation’s new focus on inequalitities. Digital lives on the working poor of vlogging; new research on why slacktivists matter & how open learning can become part of professional development. And in Academia, we look at students as customers; how elite scientist need to die for progress & another new study that finds that ‘pre-print’ versions of paper pretty much read like the final versions behind expensive paywalls. A detailed archival and ethnographic study on conflict, mining and Papua New Guinea, guided by Marxist theory, may not be everybody’s idea of a ‘must have’ item for the holiday gift list. ‘State Crime on the Margins of Empire-Rio Tinto, the War on Bougainville and Resistance to Mining’ is an important and extremely well-researched piece of scholarship that deserves attention even if it is not a mainstream recommendation; then again, I hope that readers of Aidnography return to the blog because they are able to discover something outside said mainstream. 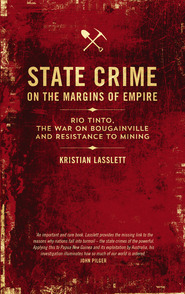 At the conflict’s heart was a conjuncture defined by clan structures, patrimonial political relations, a ‘weak’ state (PNG), an emerging sub-imperial power (Australia), and mining capital (Rio Tinto) (p.3). Development news: Microloans don't solve poverty; accountability reforms are complicated; a new project on leaving the aid industry behind after 30 years; how to improve M&E for mobile services; UNU-WIDERs digital communication reform; men leaving Nepal; the political marketplace for (non-) violence; the future of Think Tank researchers. Digital lives: Open data & the criminal justice system; PhD thesis on Spain's 15M movement. New publications on Media and Information Literacy and openness in education. Academia: The value of the 'ivory tower' & and review of the open access publishing debate.